The first time I entered the Gasholder of Amsterdam’s Westergasfabriek must have been around 1990. I had just started to work for the Amsterdam district council of Westerpark and was appointed as manager for public space. One of my projects was going to be the remediation of this former gas factory. Gas production had stopped in 1960 and the area had been in use as a storage facility for the City of Amsterdam’s Energy Corporation. They were leaving an d the site was going to be empty. We were making plans how to reuse it. The Gasholder never really was a Gasholder. What we see today and what we saw in 1990 were the fundaments of a Gasholder. The actual gas tank (filled with the gas that was used for light and energy) had been on top of that. 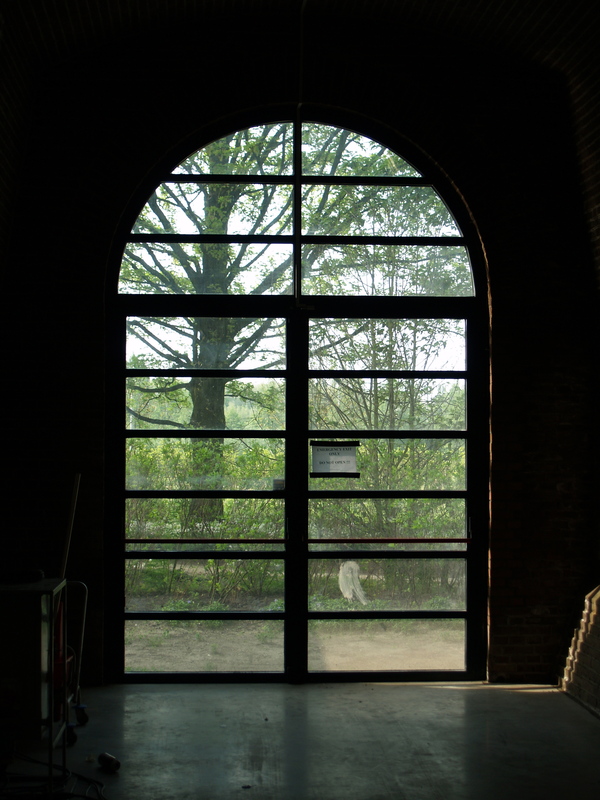 We opened the door to the immense space that had been created under the still existing roof. The space was filled with pigeons. Lots of trash. Strange acoustics and a nasty smell. But what a wonderful arena. Beng. The Westergas factory was built by the Imperial Continental Gas Association (IGCA) from London around 1884. After the completion of the gas factory the owners found out that gas production was a big success. More storage capacity was needed. Four gas tanks parallel to the Haarlemmer trekvaart had already been built and they needed a fifth one. There was not the possibility to dig another 60 meter diameter hole here so the decision was made to build everything that was needed above ground. 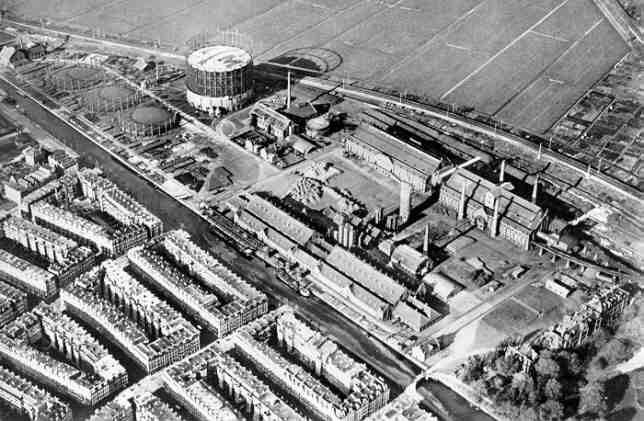 The Klöne company from Düsseldorf was asked to build this gasholder which for many years was the largest gas tank of it’s kind in Europe. What to do with a building like that? During the years the discussions had already started. Some people thought it would be best to demolish the top part and leave the circular stone structure as an open air arena. The roof was made of steel and was really very tin. By allowing Philip Morris to put the Marlboro Man on it and repaint the whole structure in the red and white colors of that popular cigarette brand the city had saved the building for future use. Together with Liesbeth Jansen we started to discuss the future of this crazy structure. Our first step was to make it empty. That was not so easy, especially the pigeons were a real disaster to get out. That may well have been the only time that the space was used as a real tank to hold poisonous gas. We started to talk with architects, designers and possible future users. The interesting thing was that all the architects and designers wanted to do something. Build something, create something, dig a hole, make a new entrance, bring in acoustic elements, make a black box, create seating areas, dig toilets, anything you could think of. Architects and designers often think in physical measures to make things better. Liesbeth also brought a lot of creatives in. They were thinking in a different way. 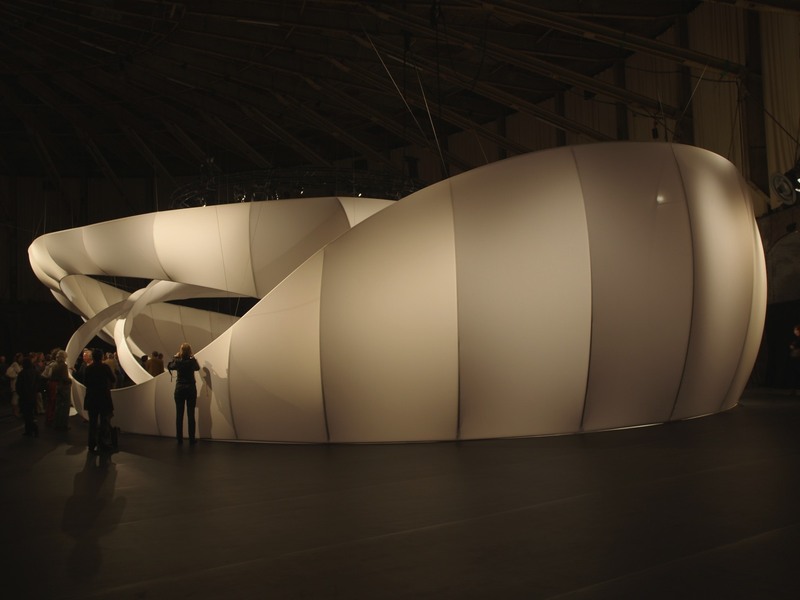 For them the empty but spectacular space triggered their creativity. For them it was all about the new program. They started to think and talk about everything that could be possible. We decided to start with the creatives. There was not enough money available to install new and permanent measures. The idea was that for every activity that could take place the organizer should bring in all that they needed. This is how we started. The first real production was the Opera Antigone in the Holland Festival of 1993. 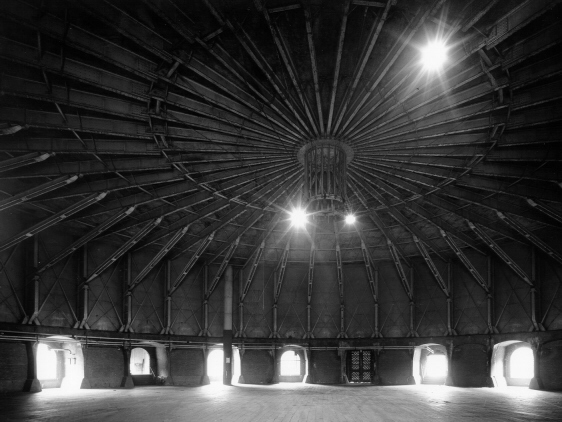 Jan van Vlijmen, a composer who had been the director of the Nederlandse Opera and was at that time programming the Holland Festival wanted to use the Gasholder as a special venue inside his festival. He worked with conductor Reinbert de Leeuw and together they created this opera production. Jan Van Vlijmen was the first one who tried to convince us to leave the space as empty as possible. 1993 was also the year for the first Monumental party. I’m not sure if the name Awakenings was directly in use. 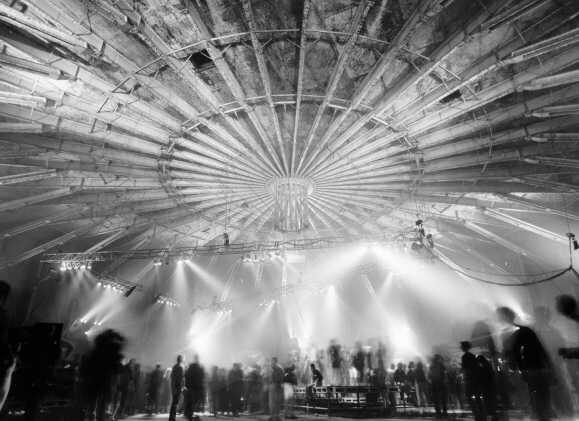 The Holland Festival as well as Monumental Productions with the Awakenings Techno parties were going to be the most regular users of the Gasholder through the years. In that same year another important regular use started to appear: the use of the venue to film video clips or commercials. 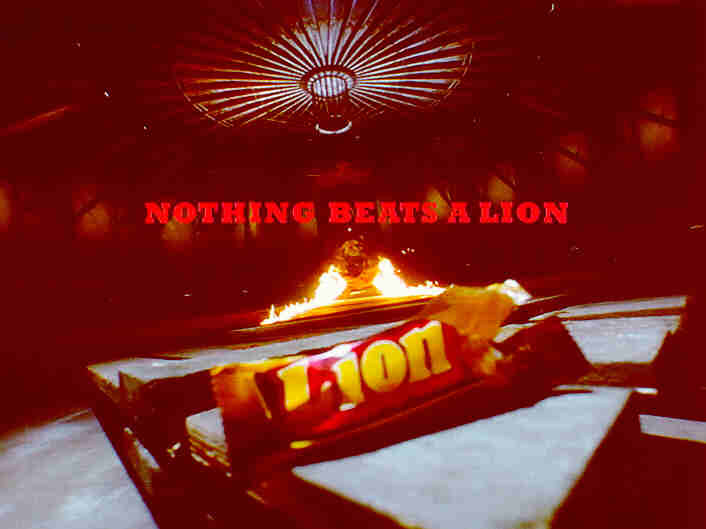 One of the first commercials was the Lion candy bar commercial. Discussions on what to do with the Gasholder went on and on. Another regular user appeared: Dutch festival and concert organizer Mojo started to do the Drum Rhythm Festival. I remember Van Morrison and Ben Harper in the Gasholder. In another Holland Festival the horse show Zingaro came to play inside it, a production that can easily be described as one of the highlights. During the years we started to understand that the temporary use had to be the regular use. To leave the inside of the Gasholder as it was became the goal of all our activities. This fantastic empty space deserved to be there forever. The new roof that was needed for isolation had to be made on top of the existing one. All climate installations were put inside the empty spaces that were available between the metal inside and outside of the roof construction. The only thing that was really needed inside was a new floor. The 20 centimeters thick concrete floor was created as one big element. It gives the Gasholder it’s super appearance that it has today. Year after year the Gasholder hosted event after event. Commercial events, cultural events, fashion shows, tv shows. 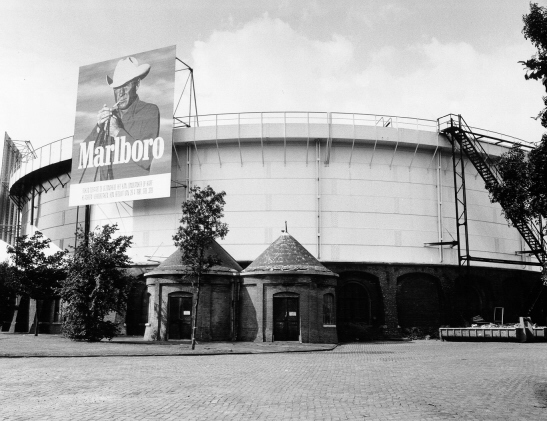 Popularity rose to the max when RTL4, the Dutch TV station and inventor of the Voice started to use the Gasholder for the battles. It is fantastic to see how every time another user can create a completely new atmosphere in an existing space. 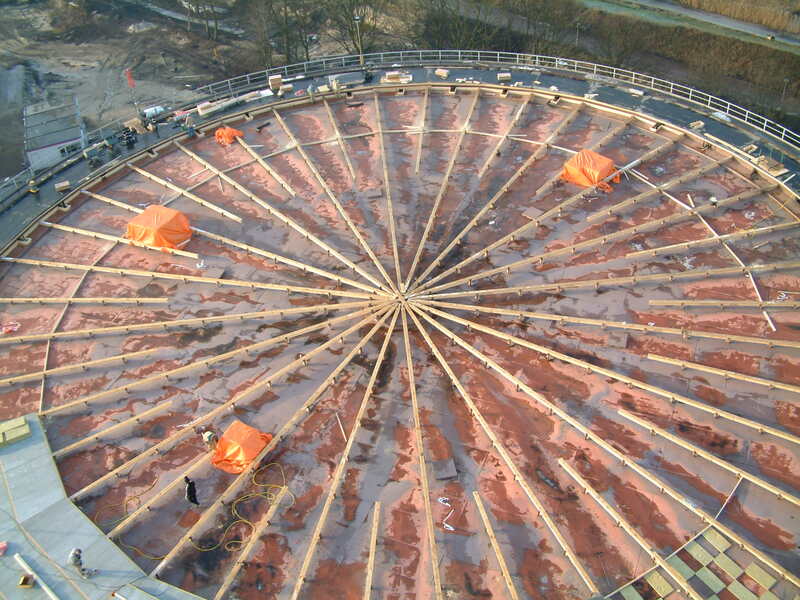 In 2000 the District Council of Westerpark sold the Gasholder together with all other buildings to a developer: MAB. The developer also took the responsibility for the programming of the place and decided to do that with the existing team. During the years other people appeared on the scene. In 2005 after 15 years of extremely challenging and fascinating work at Westergasfabriek I didn’t only say goodbye to the Gasholder but to everything in and around the park. To be a proud visitor ever since. Some people say that the Gasholder is the most beautiful theatre of Amsterdam and even of the Netherlands. But it’s really not a theatre. It’s an empty shell. Empty to generate creativity for everyone who enters the space for the first time. For me the Gasholder shows the future of all industrial heritage. Don’t start with destruction and: don’t start with the physical activities, unless they are really needed to make the place safe. In stead of that: start with the program. Start with the experiment. Find out what else is possible and think the impossible. You will find out that there is an endless amount of possibilities.